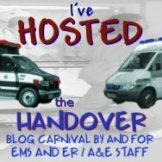 I have wrote countless times about the enjoyment I get from being a blogger and the feeling of ‘community’ and brother/sisterhood I now have with EMS providers around the world. Click here to read more about it, but as Bernice states, she knows more about Epi`s situation than she can reveal. If you feel as though you want to help then click on the donate button on Bernice’s page. I do not know all of the facts why Epi is in need but I can be assured that she is going through a seriously difficult time. If it was one of my mates on station I would help as much as I could, and just because she is across the Atlantic, doesn’t stop me from putting the call out. You can click here to read Epi’s blog and realise what makes her special amongst so many others. I will be giving on payday (times are tough), hopefully you may too.